Computer science teachers from across the country will converge on San Diego next month for the CTSA annual conference. And thanks to scholarships from Oracle Academy, 16 MESA middle and high school teachers from across California will attend. The contingent will gain coding skills and educational inspiration at the July 10-12 event in San Diego. The endowment is in support of the White House’s Computer Science for All Initiative and Oracle’s continued commitment to MESA. We’re proud to continue our relationship with Oracle Academy and build on the years of support and collaboration between MESA and the tech giant. 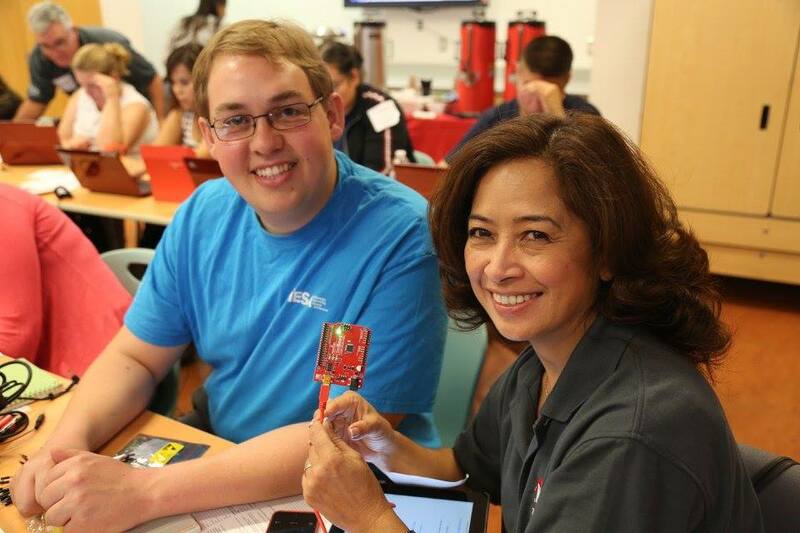 Oracle has also supported Java trainings for teachers, summer coding camps for MESA students and judged Alice and Greenfoot coding competitions. Since 2013, Oracle has awarded MESA more than $100,000 and furthered the commitment to uplift computer science education for underserved students. The continued focus on professional development for teachers in low-performing schools is a key tenant of MESA’s mission to provide high-quality science, technology, engineering and math curriculum to educationally disadvantaged students. These opportunities enhance computer literacy not only MESA students, but entire schools, when teachers bring new skills and enthusiasm back to their classrooms. Here’s the roster of MESA teachers attending the conference.